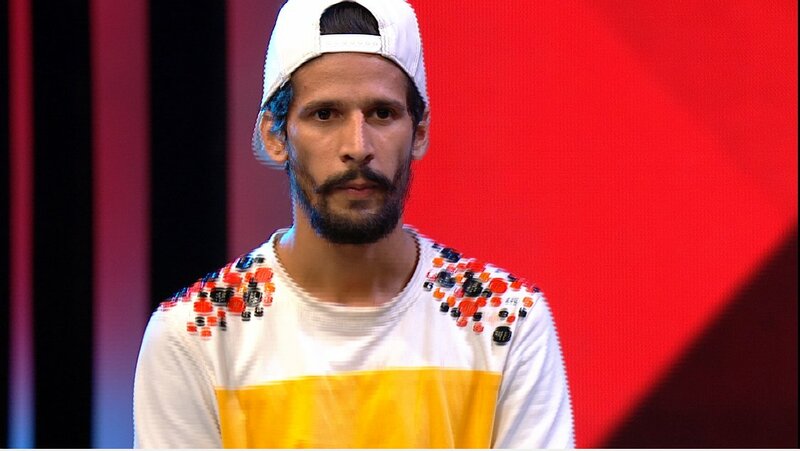 Today’s (19 September 2017) episode of Dance+3 (Dance Plus 3) saw some outstanding and powerful dance performances by the contestants as they gave their best to make their place in the Top 4 Finalists!! House of Suraj gave a outstanding performance and their setup on the stage was avert imaginative and unique with their lehengas covering the entire floor. 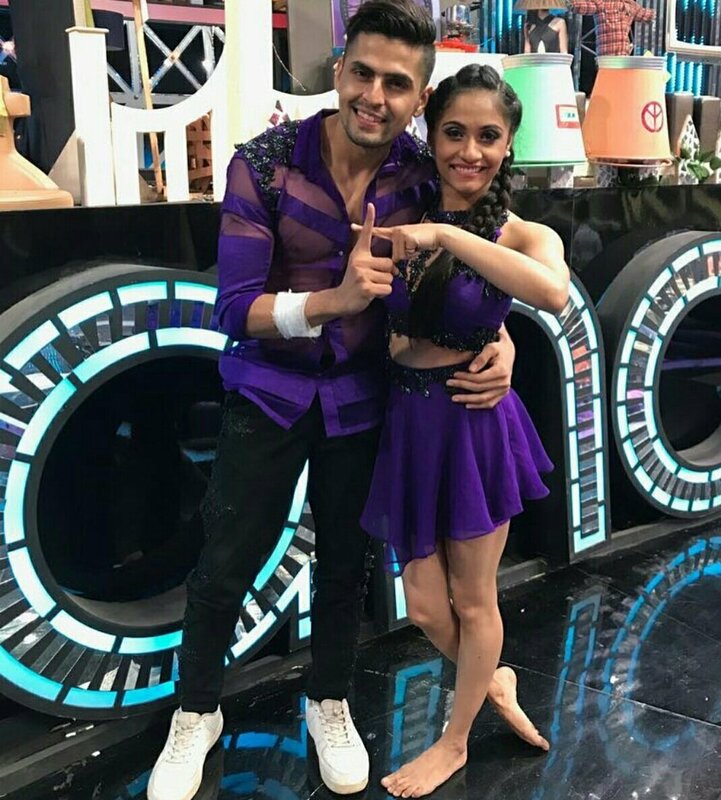 They danced on Dil Mera Muft Ka. Shri Ram Natak Niketan dance performance was dedicated to the Indian army. Ayush De and Mukesh too gave a brilliant dance performance based on The Jungle Book. Simran actress Kangana Ranaut made a special appearance on the show. Raghav expressed that Kangana inspires him as the freedom he has as a guy is a privilege. Kangana was impressed by the fact that a man is admitting to that privilege and placed a kiss on Raghav’s cheeks. Ace choreographer and director Farah Khan too made a special appearance on the show to promote her upcoming show Lip Sing Battle and was stunned seeing performances by Aryan Patra and Ayush De and Mukesh. All the Dance Plus 3 finalists, Judges Puneet Dharmesh and Shakti along with Super Judge Remo D’souza and Raghav Juyal put up a medley performance on songs choreographed by Farah as she completes 25 years in the industry this year. Aryan Patra, Amardeep Singh Natt, Bir Radha Sherpa and Tarun and Shivani are the Top 4 FInalists of Dance Plus 3 who will battle it out in the Grand Finale on 23rd and 24th September 2017. Interestingly, three out of four finalists are from Team Dharmesh. 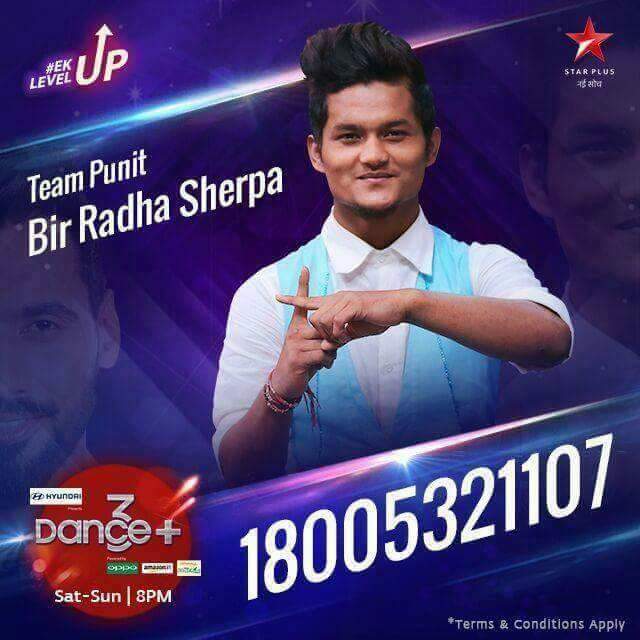 Bir Radha Sherpa is the only contestant who will fight it out for Team Punnet in Grand Finale. Fans of Dance Plus 3 can vote for their favourite contestants in tomorrow’s episode (17.09.2017). Who will be the winner of Dance+3? Leave your views in comments section below! !